Since Paul became ill, he keeps a notebook detailing his medical appointments and care. Paul Fellbaum spent his childhood years on the family’s New Effington, S.D., farm, surrounded by nature—a landscape in which he found much inspiration. At age eight, Paul’s Aunt Sharon gave him a camera for Christmas, setting in motion his lifelong passion for photography. “That summer, my baby brother was born, and I took all of his baby pictures,” Paul shared. That camera was his most precious belonging, and he carried it everywhere he went. His interest in capturing special moments through the lens only continued to grow throughout the years. Paul’s favorite subject to photograph is nature—not surprising considering the landscape in which he grew up. He has traveled and photographed some of the most beautiful scenery in the United States, including the Rocky Mountains, Bryce Canyon National Park, Zion National Park and several states. In August 2012, he took an 11-day train trip with his sister from Chicago to Salt Lake City, and bus tours through Grand Teton National Park, Yellowstone National Park and Glacier National Park. In October 2014, Paul’s journey took an unexpected turn as he was diagnosed with inoperable stage 3 lung cancer. He underwent intensive radiation and chemotherapy treatments. “Some days were non-stop appointments,” he said. Paul and his mother Renata view photos of Paul’s past cancer treatments. The new cancer diagnosis led to more scans, MRIs and an even more grueling round of treatment using steroids in an attempt to slow the progression of the brain tumor. “With the chemo and radiation, I lost weight. I went the opposite direction with the steroids,” Paul said. Weight gain wasn’t the only side effect Paul experienced. “When you are on steroids, you don’t sleep. I would get up and clean just to keep busy.” That course of treatment lasted nearly a year. As of today, the brain tumor’s growth has stabilized, although Paul continues to experience side effects like memory loss. 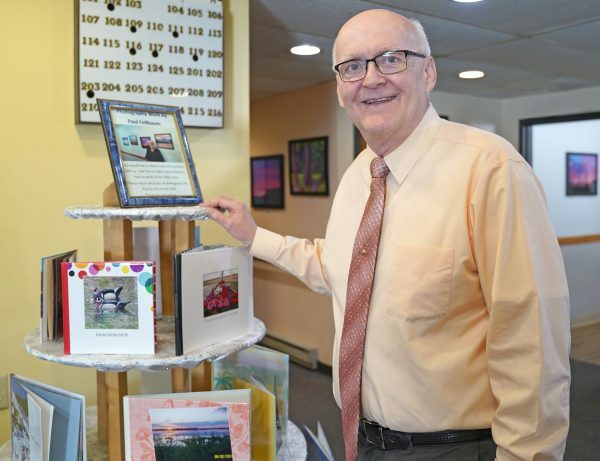 Dakota Estates Retirement Center Administrator Curt Brownlee stands next to a display featuring of Paul’s photography albums. 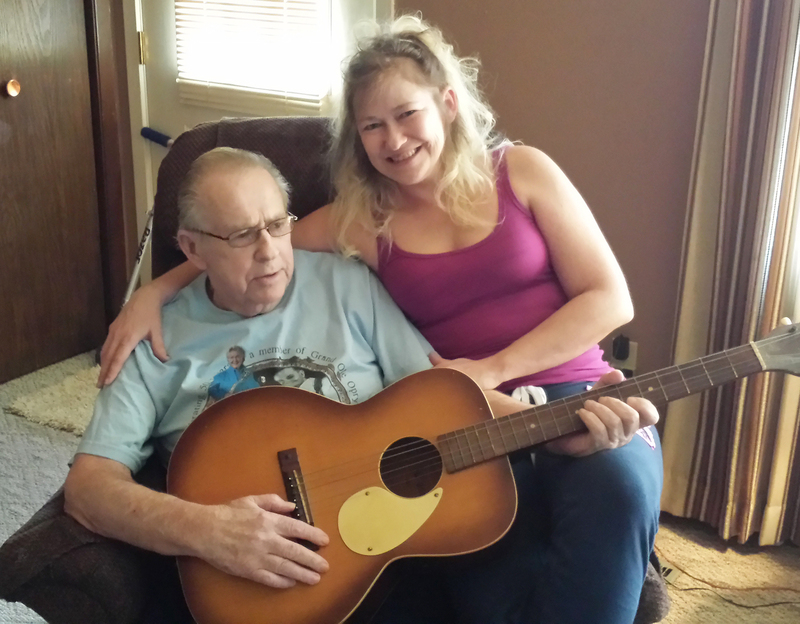 His Hospice care team includes his registered nurse, Christina, whom he has fostered a trusting relationship. “She is awesome,” Paul said. “She helps me with everything, how and when to take my medications. She’s been coming once a week.” He’s also appreciative of his hospice social worker, Lisa, and Chaplain David. Paul is relaxing into his new home, enjoying the company of his mother and other residents who are becoming great friends. He also rekindled an old friendship with the retirement center administrator, Curt Brownlee, who he knew in high school and worked with for a short time later on in life. 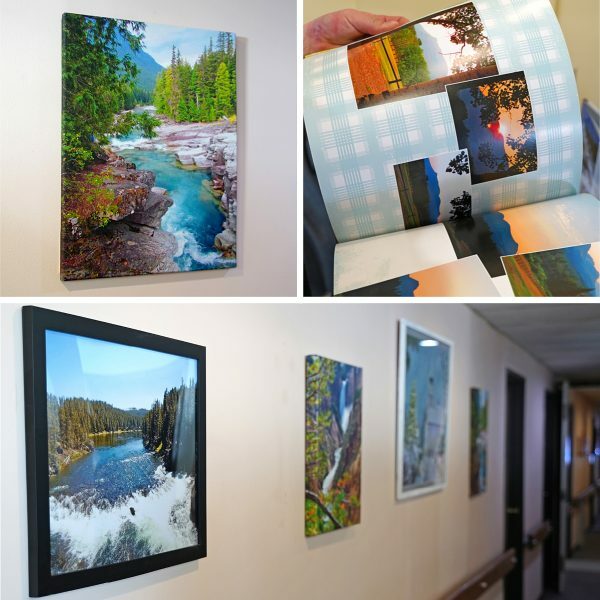 Recently Curt was instrumental in helping arrange a photo exhibit to showcase Paul’s photography at Dakota Estates. Forty of Paul’s framed prints, taken throughout his journeys across the country, were displayed for residents, visitors and community members to enjoy. 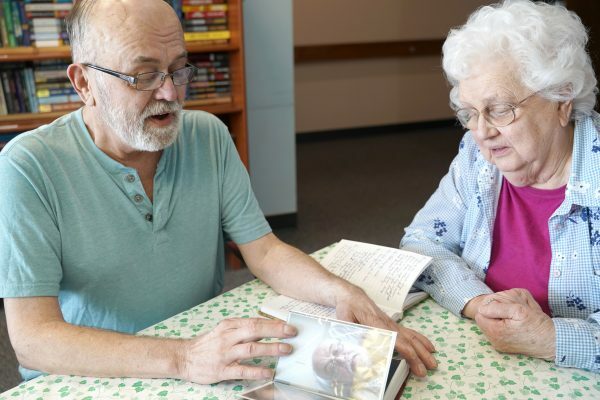 Several of Paul’s photography books were also on display in the front lobby of the retirement center. Attendees gathered to celebrate Paul’s work during an open house in March 2019. Curt explained the retirement community is truly like a family, and this small measure of kindness was the least they could do for Paul. Members of the local camera club invited Paul to feature his work at one of their upcoming events. 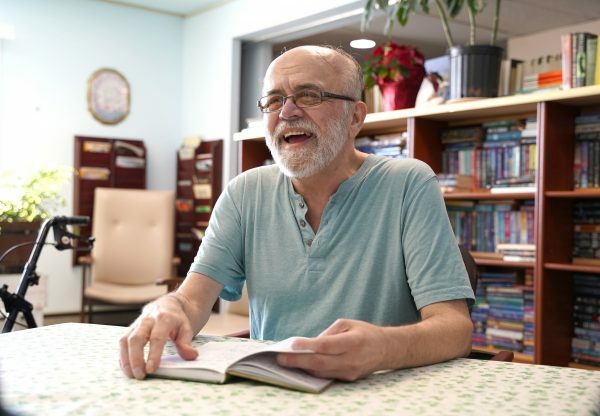 With the help of the Hospice team managing Paul’s care, he is able to focus his limited energy on doing the things he enjoys—photography, journaling and playing Skip-Bo with mom and two other residents. “I’ve seen so much benefit in the rapport and bond that has developed between Paul and the [Hospice] staff. It has been wonderful, and I can’t say enough about them,” Curt said. While Paul’s uncertain about what the future will hold, he plans to continue pursuing photography. He even has a trip in mind: “If I’m still alive this summer, I would like to redo my trip to Yosemite,” Paul said. In the meantime, he is grateful to live his life where he wants and the way he wants with the help of Hospice.